CPe (Speciality Components) Ltd is based in Sandbach, Cheshire close to the North West Motorway network and has for many years serviced the whole of the U.K. compressed Gas Industry. The company is widely acknowledged as a manufacturer and supplier of high integrity components for the compressed gas and gas control equipment market. Manufacturing with high quality materials and machining to strict tolerances, as required for a potentially hazardous industry. Supply and Installation of Gas Control equipment for the Laboratory and Industrial markets has been a key growth area for the company over the last five years. The use of high purity, high integrity pipe-work and equipment has secured the company a reputation for good quality, reliable and safe workmanship. 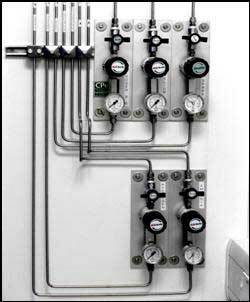 CPe (Speciality Components) Ltd designs and installs to the recommendations of the Pressure Systems Safety Regulations 2000 and to the relevant codes of practice of the British Compressed Gases Association. We will assist the customer in the design and installation of equipment and gas storage facilities to their requirements and work diligently to achieve a safe and reliable system. The company operates a fully documented quality management system BS EN ISO 9001 : 2000 and we also have Contractors Health and Safety Assessment Accreditation. All our services include all necessary certification following B.C.G.A. 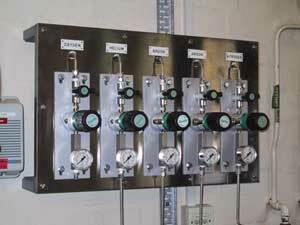 (British Compressed Gases Association) Codes of Practice & Guidelines.